I have a simple Christmas post for today. My fellow food bloggers have jaw droppingly awesome christmas food and recipes. I’m not much for themed food so…I have puto! Hahah. 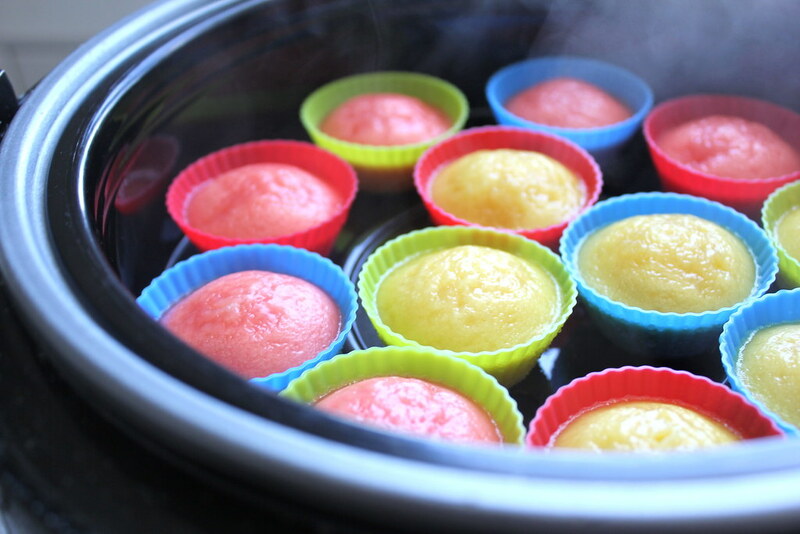 It’s Filipino steamed cake. Can’t say it’s Christmas-y but it can be for any occasion anyways. And any food you’re gonna eat in the holidays can be deemed christmas-y anyways. I remember when I was a kid some of our relatives would give us money for christmas. But before you get the money sometimes you have to perform [song or dance?]. Hahah. I was usually up for it until I grew older and it became embarrassing like an ugly sweater. Ahh this reminds me…I’ve never had ugly christmas sweaters so here comes something that’s as christmas-y and as awful as those christmas sweaters. Prepare to face palm yourself, I’ll be your embarrassing cousin this holiday. To my actual cousins, if you’re reading this, it’s not too late to join in. Haha. There you go. Merry Christmas everyone. Excuse my weird. Enjoy the puto. Yeah we really don’t put puto on sticks. But I got distracted and thought of dangos. 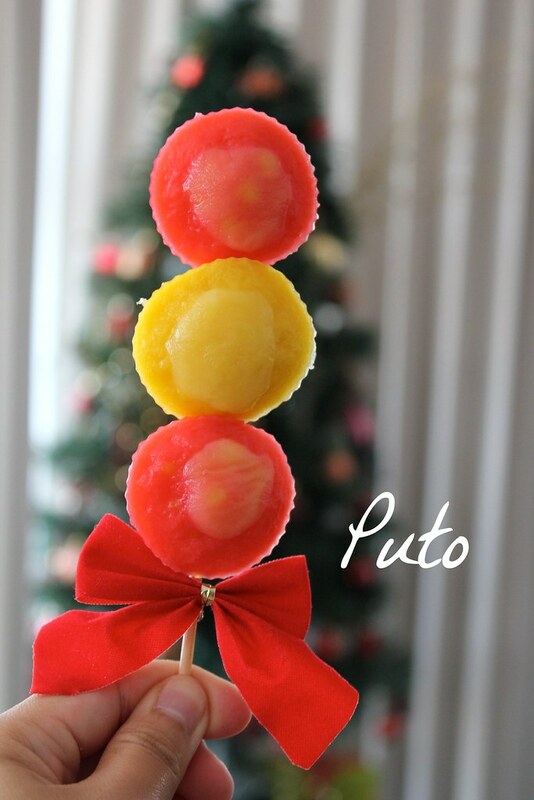 Don’t skewered puto look cute though? – Prepare the steamer. (I used my rice cooker, it worked fine. Wrap the lid with a tea towel or cloth so the water doesn’t fall back on the puto). Use medium heat when steaming. 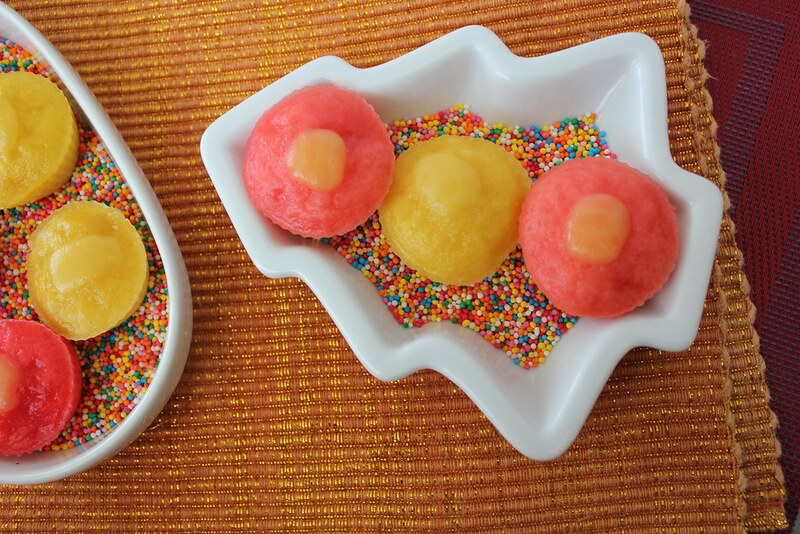 – In a large bowl, whisk the dry ingredients together. 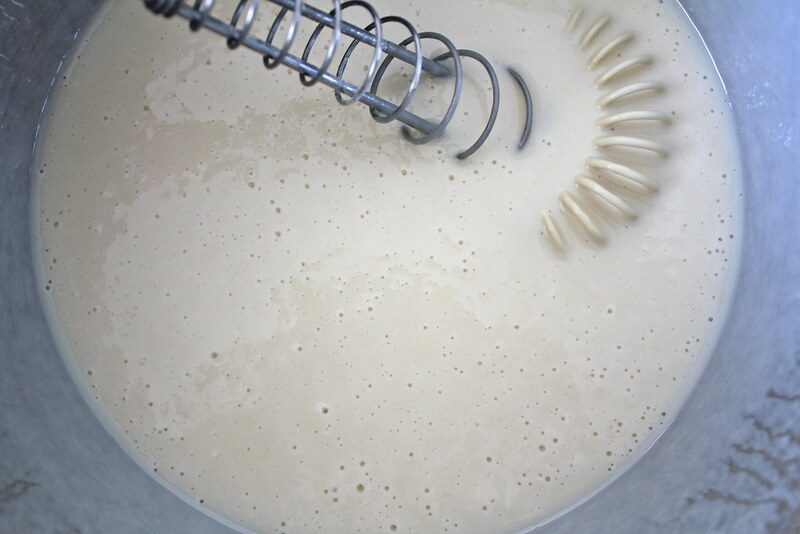 – Then add water and whisk until the mixture is smooth. 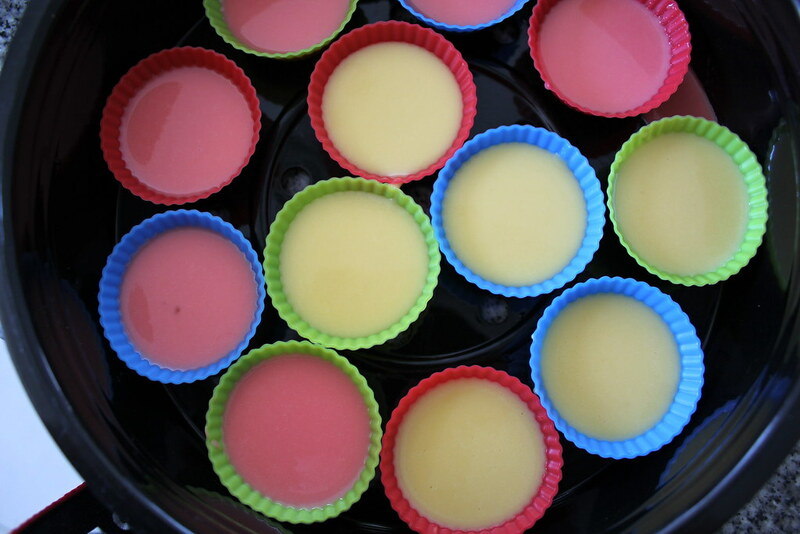 – Add eggs and melted butter and mix thoroughly. If there are lumps in the mixture, let it pass through a sieve. 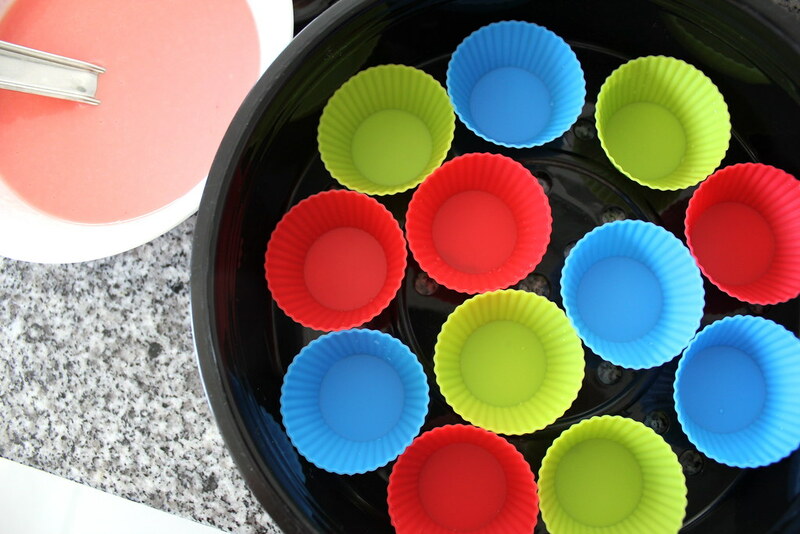 – Divide the mixture according to the number of food colouring you have. 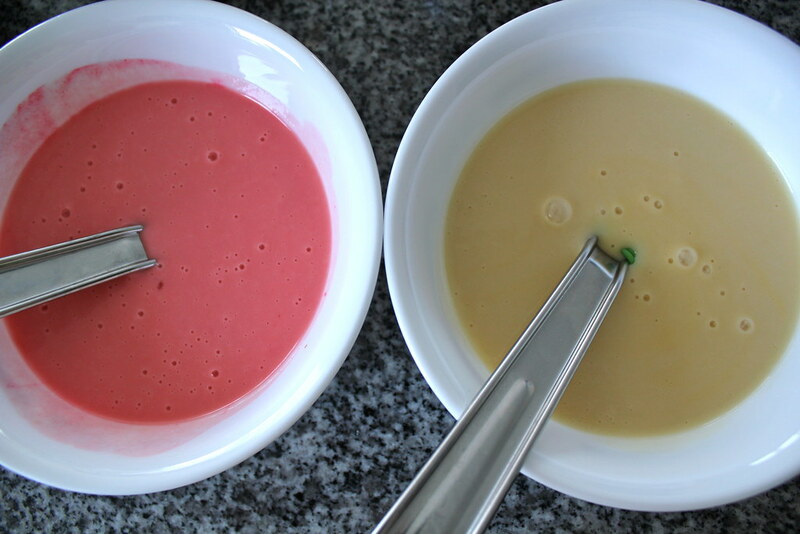 Then add a few drops of food colour on each bowl until the desired colour is attained. 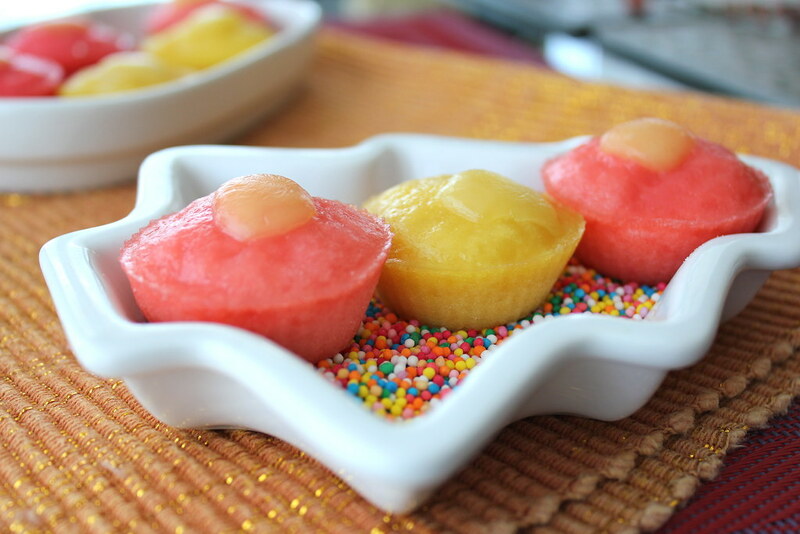 – Spoon the batter onto silicone cups (or a buttered muffin tin) until it is 3/4 full. – Place onto a steaming rack when the steamer is ready. Steam for 10 minutes. 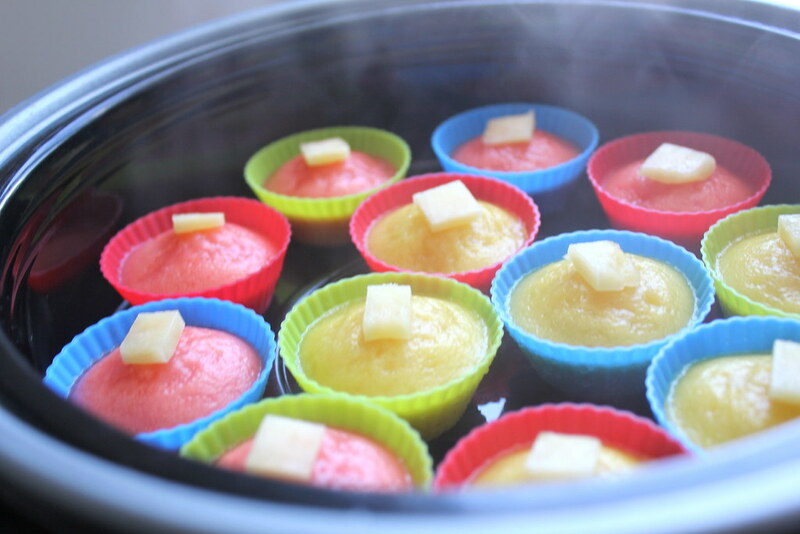 – Place the cheese slices on top of the puto then place the lid back on for 5 seconds to melt the cheese. 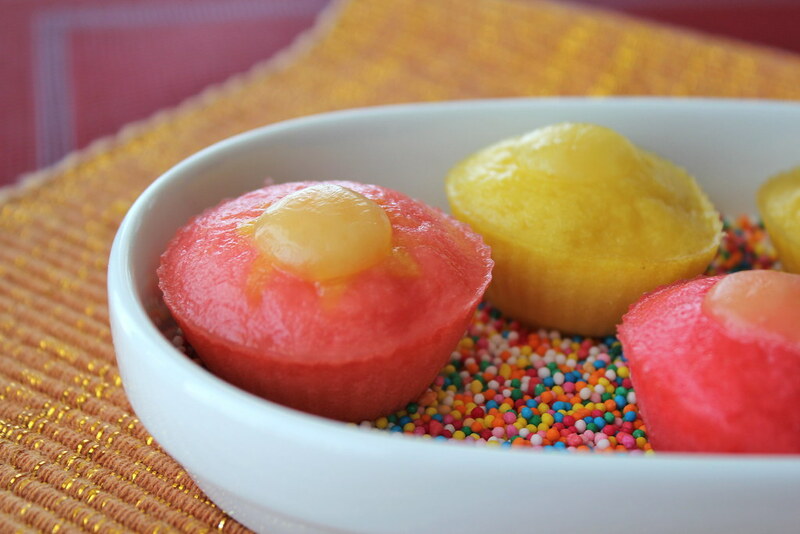 Love the colorful puto!!!!!!! Have a wonderful Christmas! Oh my goodness this is my favorite thing to eat with tea. I tried to make it with rice flour as my moms Filipino friend does but it just turns into this awful gluey stuff. Flour might be easier to handle! Thanks!